If it is your first time cleansing, then this is your cleanse. 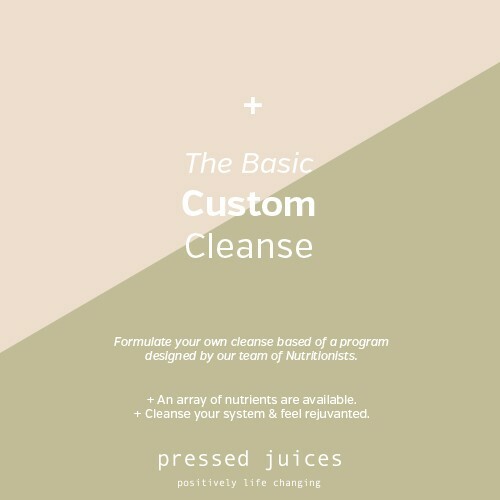 The Basic cleanse is customised to your liking and is the right way to expose your body to potent amounts of vitamins and nutrients without putting too much stress on the body. Packed full of flavour and variety, the Basic Custom cleanse is for those who want to have a little more control over their juice selection. • Pack full of flavour & variety. If it is your first time cleansing, we recommend tidying up your diet the week leading up to your cleanse for optimal results. This includes removing processed foods, alcohol & soft drinks, smoking & caffeine.